I’ve written this blog post to share with you the journey from the build right through to our first delivery of meat to our new butcher shop at Avoca Market in Monkstown Co. Dublin. 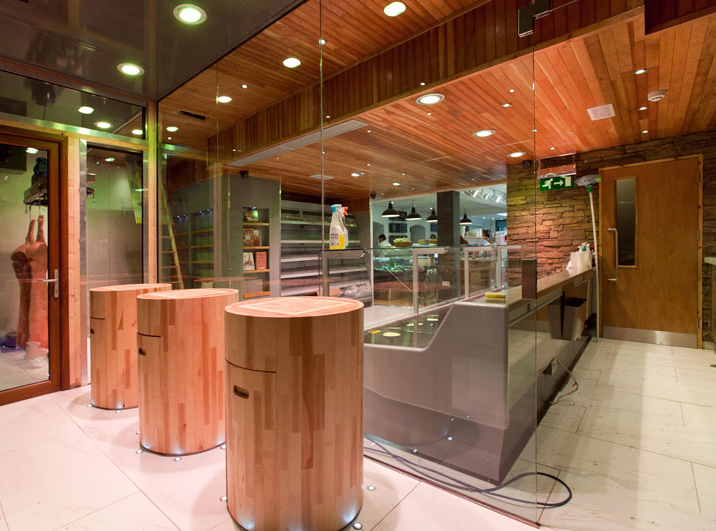 It’s been a tremendous journey and all of the natural surfaces and materials chosen for the fit out reflect the true quality of Irish craftsmanship. I am so proud to have worked with so many talented people bringing together my vision for this butcher shop in south Co. Dublin. 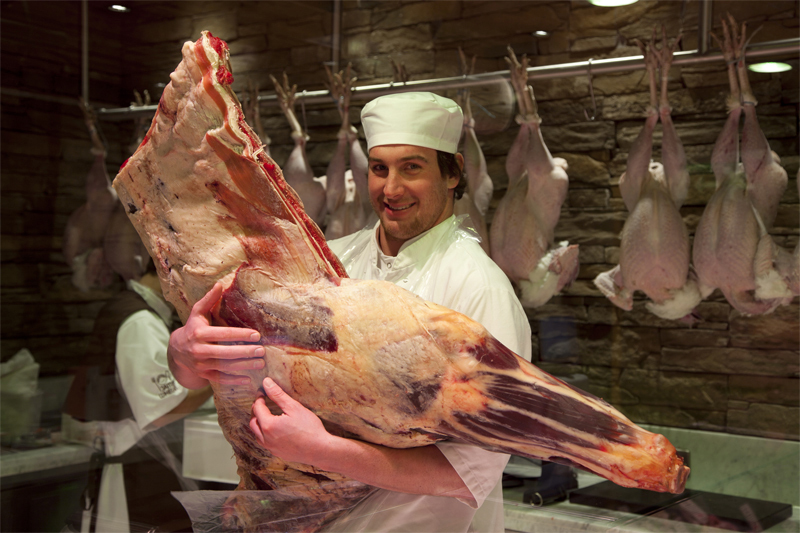 The essence of what I want to achieve with my customers, is to share with them our ability to create real meat products in a retail environment and celebrate the true craft of Irish butchery. 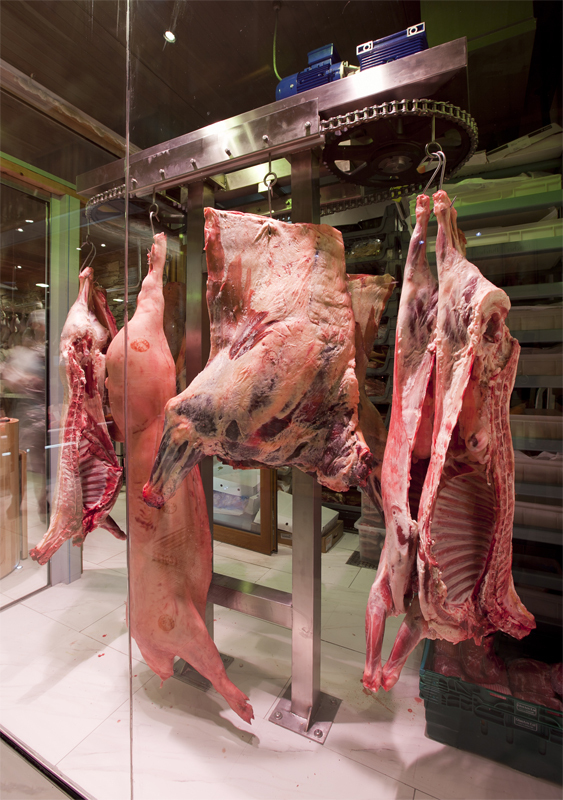 In the shop, we have used clear glass panels as walls to remove any of the mystery and to share the honest approach we take when creating bespoke meat products for you. I hope you enjoy the pictures that were taken for me by local Monkstown photographer Roger O’Sullivan and Paul Sherwood who captured the spirit of our opening day. If you are anywhere close to Monkstown over Christmas please feel free to call in. David, Ernie, Connor, Brett and Marius would be delighted to see you and show you around. 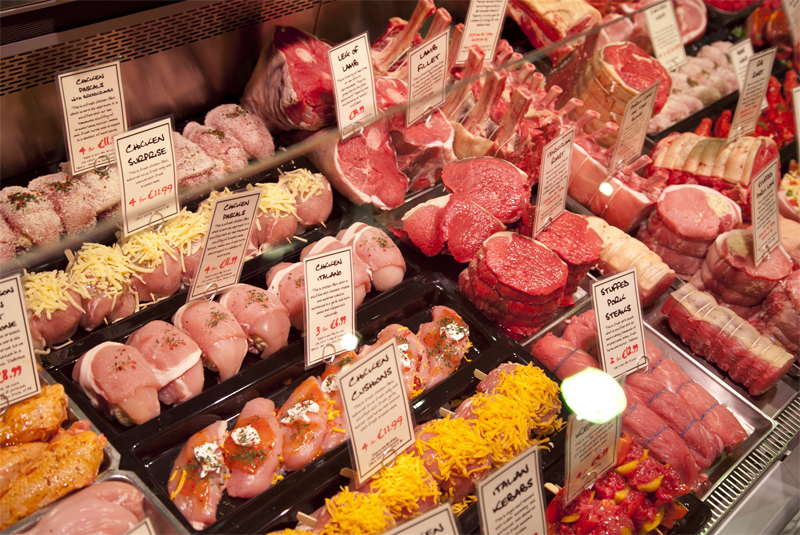 We have a monthly newsletter which is packed full of recipes and cooking tips and is also a great way of keeping up to date with what is happening at James Whelan Butchers. If you would like to sign up to our newsletter enter your email and username to sign up. 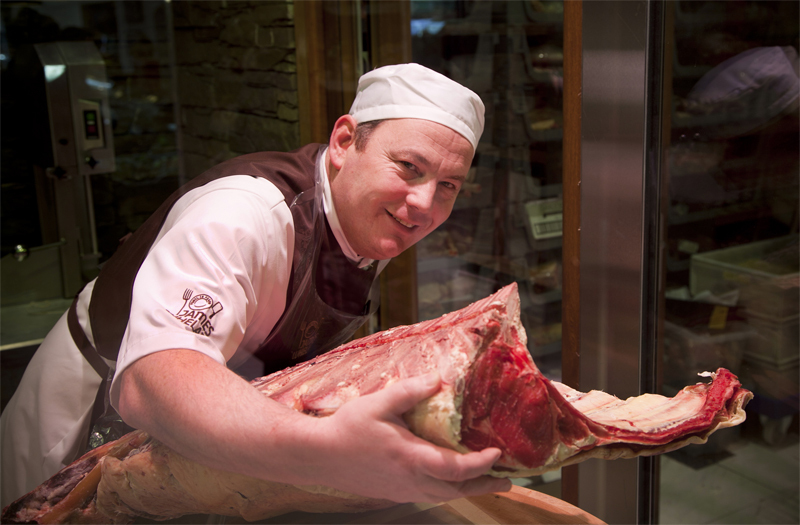 One of Ireland’s most innovative butchers, Pat Whelan from Clonmel, has brought his renowned specialist craft butcher business to Dublin with the opening of a meat emporium in the new Avoca Food Market in Monkstown. 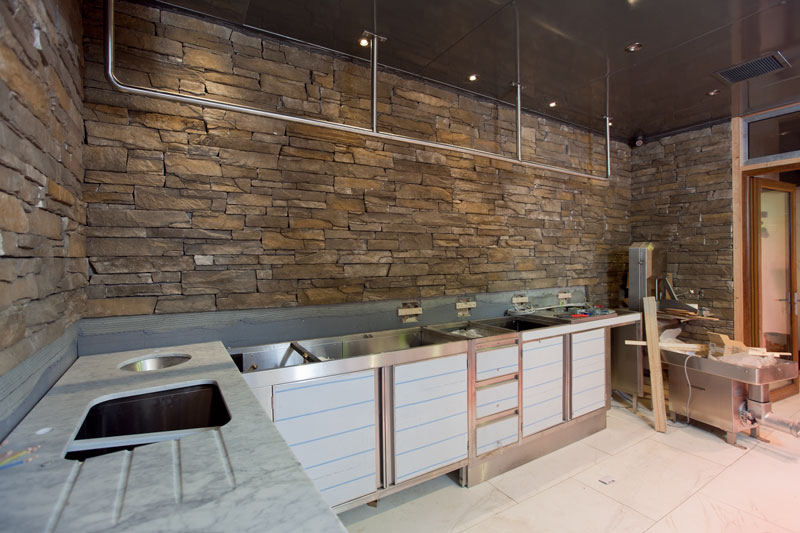 In the eye of the harshest recession in history, Whelan is steadily growing his business and his new shop will be a veritable “altar to meat” at the food shrine that is the recently opened Avoca shop. 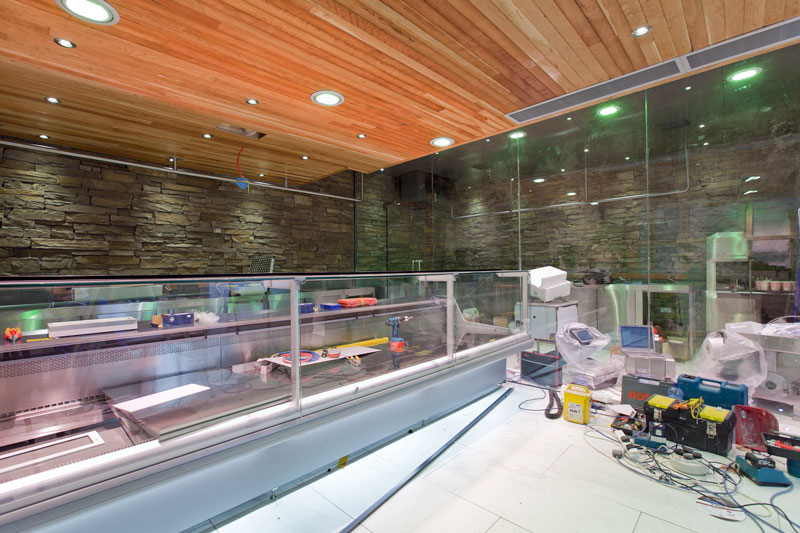 This is the first retail venture outside of Clonmel, Co Tipperary, for James Whelan Butchers in its 50 year history, and the unique shop represents an exciting new chapter in the company’s success story. With the venture Pat Whelan is merging craft, skill, passion for food, and retail excellence into one wholesome, theatrical experience. 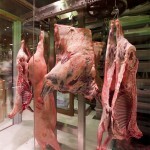 It incorporates retail along with progressive ideas including butchery craft classes where groups can come, watch, learn and then salivate before tasting the best of meat. 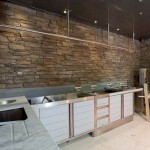 The layout of the new shop has been carefully planned from every angle and is meticulously designed. It features three specially commissioned round butchers’ blocks made by Irish craftsmen from solid maple to resemble tree trunks. 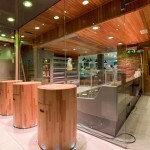 This nature theme runs throughout this unique specialist craft butcher shop with all materials carefully chosen and natural where possible. 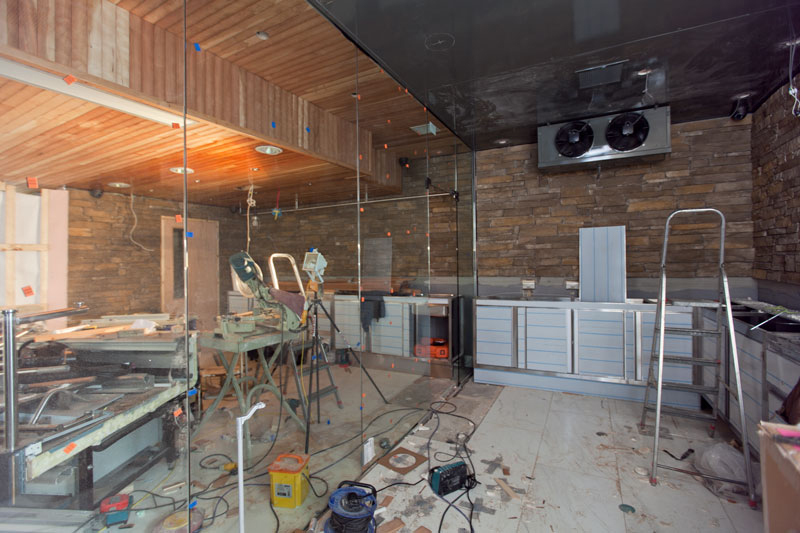 There is also a full glass wall that will allow customers the unusual sight of meat being aged and cuts being prepared for sale, giving them the opportunity to see meat and its preparation laid bare. For anyone interested in cooking and eating meat this will be nothing less than a haven. He has fully harnessed social media, including Facebook and Twitter, to drive his business and his website has won numerous awards and is highly regarded within the industry. 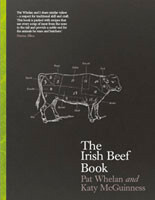 Pat Whelan also wrote the acclaimed book, An Irish Butcher Shop, which is to be followed next year by a new book, An Irish Butcher’s Kitchen. 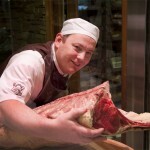 Reflecting his appetite for innovation, Whelan has successfully produced his own Wagyu beef at his farm in Tipperary. This is a Japanese breed of beef sometimes referred to as Kobe beef, an area in Japan. ‘Wa’ means Japan and ‘Gyu’ means cow, and Wagyu meat is striking because of its wonderful marbling which results in unbelievable succulence that is guaranteed to send the taste buds reeling. Whelan currently employs 30 people in his business which centres around a large retail shop in Clonmel and his growing online sales. He is adding five new staff to his workforce initially through his new development, and expects this number to grow in 2012. The Avoca food shop opened in November and is offering a range of new food experiences under the one roof with 100 per cent focus on delicious, seasonal, Irish food, a perfect fit for Pat Whelan. The shop is bright and airy with a vintage retro style featuring distressed wooden tables topped in white marble, salvage greenhouse window frames. The new shop opened on Friday, December 9th. 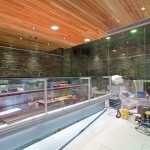 It will be open 7 days a week at Avoca Food Market, Monkstown. 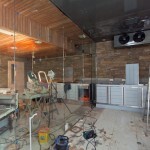 Can’t wait to get up to see your New Craft Butcher shop! 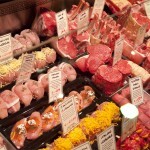 This cutting edge venture really puts James Whelan Butcher again at the forefront of Irish Food Culture! I watch your space! !